The growing importance of electric distribution systems justifies new investments in their expansion and evolution. It is well known in the literature that optimization techniques can provide better allocation of the financial resources available for such a task, reducing total installation costs and power losses. 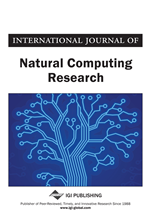 In this work, the NSGA-II algorithm is used for obtaining a set of efficient solutions with regard to three objective functions, that is cost, reliability, and robustness. Initially, a most likely load scenario is considered for simulation. Next, the performances of the solutions achieved by the NSGA-II are evaluated under different load scenarios, which are generated by means of Monte Carlo Simulations. A Multiobjective Sensitivity Analysis is performed for selecting the most robust solutions. Finally, those solutions are submitted to a local search algorithm to estimate a Pareto set composed of just robust solutions only. The investment in the continuous expansion and evolution of the electric distribution systems is widely justified by their social and economical importance: almost all Brazilian inhabitants are assisted by electrical energy and this kind of energy corresponds to 40% of the total energy consumed in the country (Soares, 2001). Besides, the distribution systems are the held responsible for the losses and failures occurred in the electrical systems (Ćurčić et al., 2001; Soares et al., 1999). Therefore, these systems should receive special attention of the utilities in order to improve the quality and reliability of the supplied energy. The problem is usually formulated as a discrete and strongly nonlinear optimization problem. The parameter space is composed of disjoint feasible points and there is no obvious paths connecting them. These features make the search task considerably difficult. The load connected to the system is continuously changing within time: new loads are being connected to the system and the existing ones are frequently increasing. Therefore, the distribution network should be designed considering an estimative of the system load within a design time horizon, instead of considering only the load which is connected to the system at the project time. Hence, the problem is then endowed with uncertainties, which can affect the solution provided by the optimization scheme (Carrano et al., 2007a). The final resources available for system installing, expansion and re-formulation are often restricted. It implies the need of adequate solutions provided by the design method, taking into account the budget which is available for such a task. Due to the mentioned characteristics of the electrical distribution systems design, the problem described here precludes the use of most part of the traditional optimization methods. For instance, deterministic continuous methods for non-linear optimization are not applicable to this class of problems since they rely on the derivative calculus, which is not defined in the discrete spaces. Greedy algorithms, which iteratively build a solution, are also ineffective on power system designs, since these methods are not able to consider several important aspects of those systems such as power flow, voltage level on the load buses and branch capacity constraints. Design of distribution networks (Ramíres-Rosado & Bernal-Austin, 1998). Design of power transmission networks (Duan & Yu, 2002; Chung et al., 2003). Location of substations associated to the network design (Carrano et al., 2005; Carano et al., 2007b). Optimal planning of the dynamic expansion of power distribution system (Carrano et al., 2005). Design of distribution systems (Gómez et al., 2004).